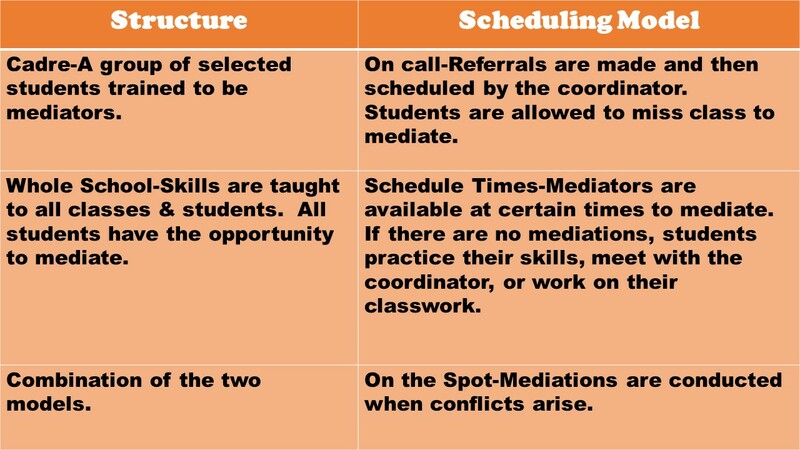 A couple of years after becoming a school counselor, I decided I wanted to be a mediator. Why? I can’t really tell you the reason, but I thought it would be a great skill to have as a school counselor. So, I signed up for a 40 hour Civil Mediation training and met the practicum requirement of mediating in court. My very first case involved a young girl who was being followed by a middle aged construction worker. Instead of the judge sending him to jail, both parties agreed to go to mediation to determine how they would interact with each other in the future. After expressions of high emotion and intense dialogue, the teen was able to express her fear and why she wanted the man to stay way from her. The man expressed that he was sorry that he had scared her and that did not realize the harm that he had caused her. An agreement was written, given to the judge, and they went their separate ways. The two people were able to decide their own outcome and it was powerful. From this experience, I decided to train a group of high school students in mediation. Over five years, I continued my education in conflict resolution, joined the leadership of the Association for Conflict Resolution, and re-instituted the peer mediation program in my school. By year seven, our mediation program became so strong that other high schools asked for their students to be trained and we created our first countywide cohort of peer mediators . A year later, some of our elementary and middle school counselors decided they wanted to have peer mediation programs and became peer mediation facilitators. Part of our training mission included having our high school students train and mentor our middle/elementary students. Looking into the future, our dream is to have our very first peer mediation tournament among our high school students. What are the components of the platform? 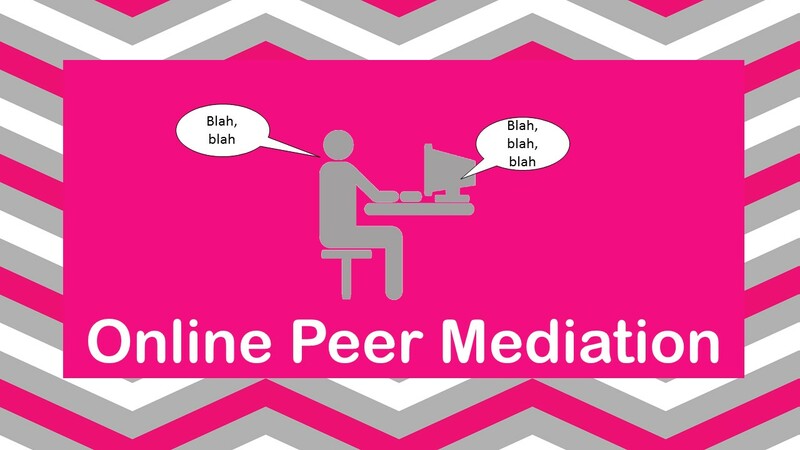 A comprehensive online peer mediation website which houses free curricula, resources, videos, and simulations. The platform enables children aged 10-18 to learn about, participate, receive mentoring in, and share their experiences with peer mediation. A skills assessment for trained peer mediators and a platform for conducting online peer mediation sessions. 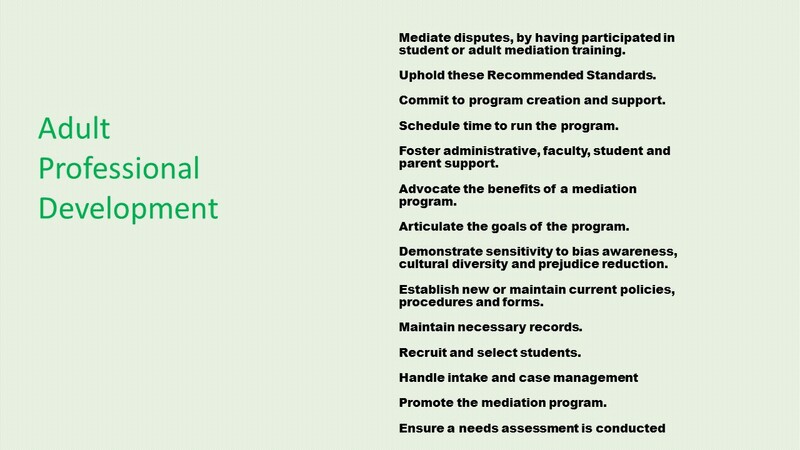 Give guidance on how to develop and implement a sustainable program. How to develop appropriate evaluation. 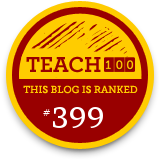 How to select or create curricula. Check out Creducation for information on free curricula. How to improve established programs. Model conduct for peer mediators. 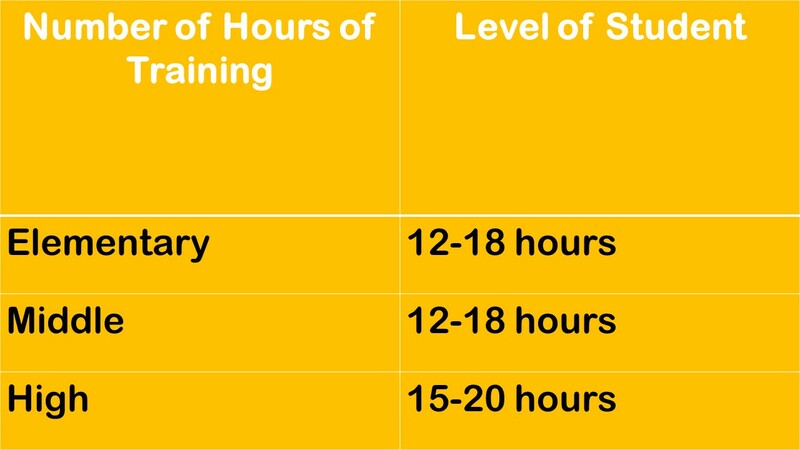 Appropriate length of training for elementary, middle, and high school students. Choosing a theoretical model of mediation. 10. 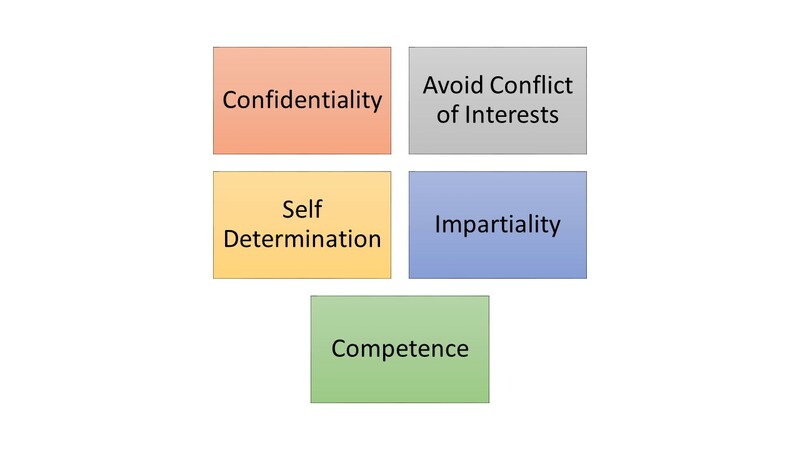 Role of adults in training mediators. Although the standards are not a how-to manual, it provides guidance to schools on what should be done to maintain a sustainable program. What is an online simulation like? Well, I want to share some of our simulations with you and how they work. 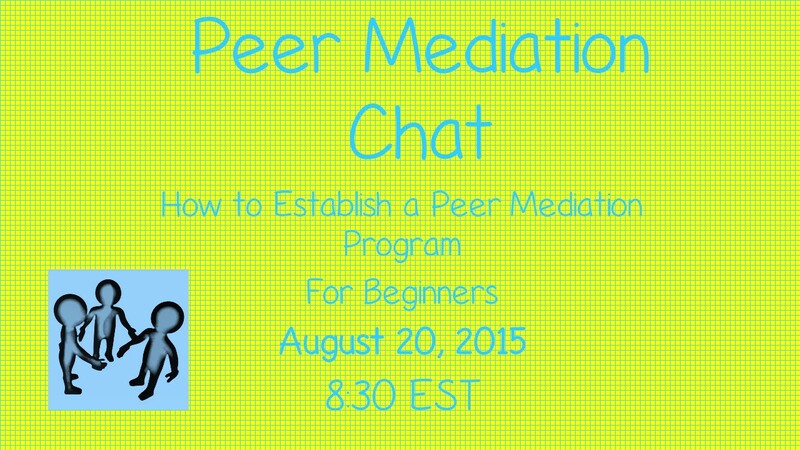 Also, if you are interested in starting a peer mediation program, please feel free to join our peer mediation chat in August! 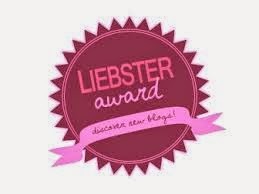 Other topics will follow! !